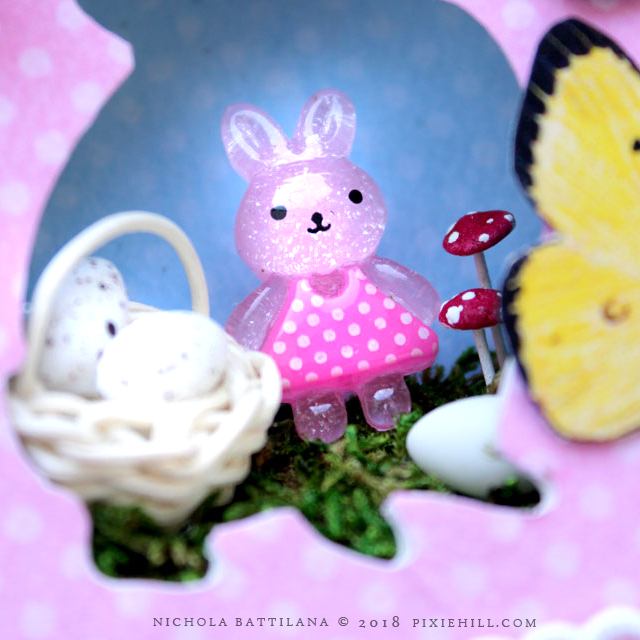 Pixie Hill: Fairies and bunnies and gnomes OH MY! 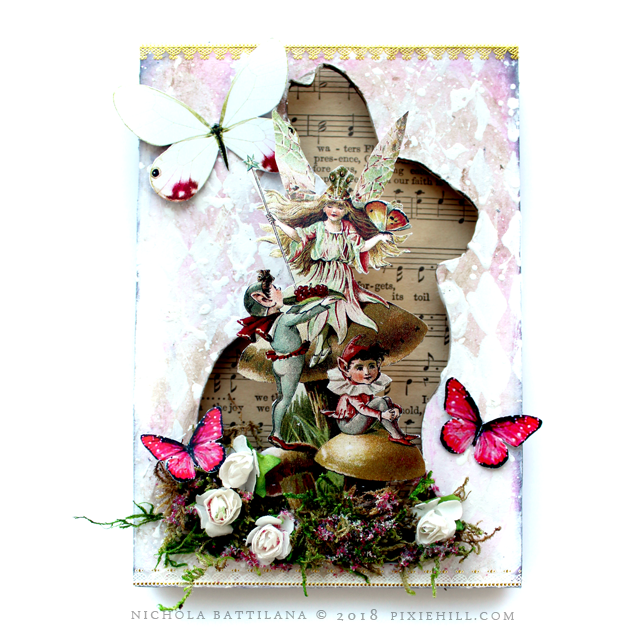 Fairies and bunnies and gnomes OH MY! 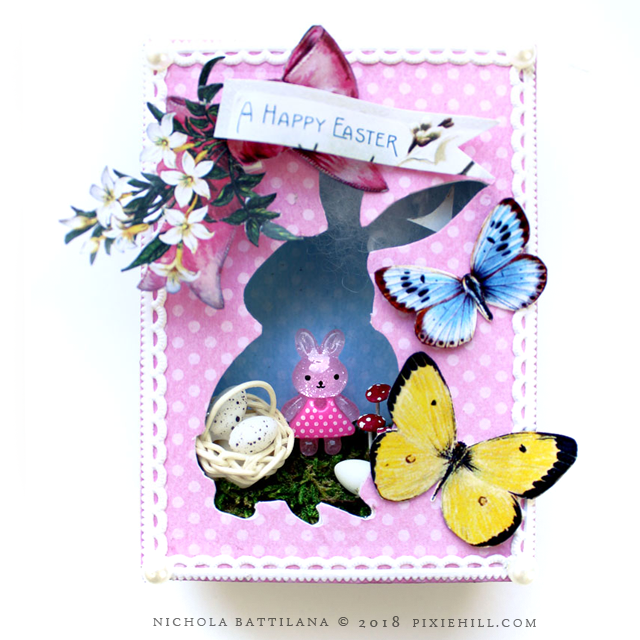 This is a post Easter easter post for AlphaStamps.com The consensus being that these lovelies are cute enough to be used beyond bunny day. 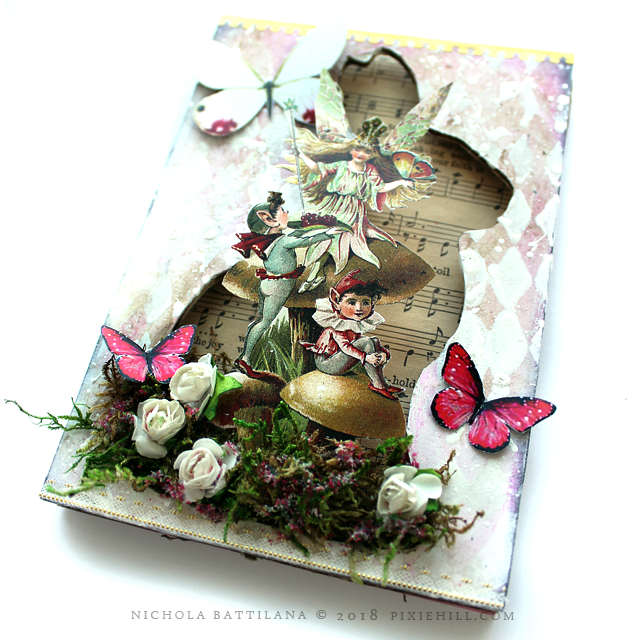 These sweet fairy pieces were actually an after-thought to use the extra bits in my kit but Im smitten with them. 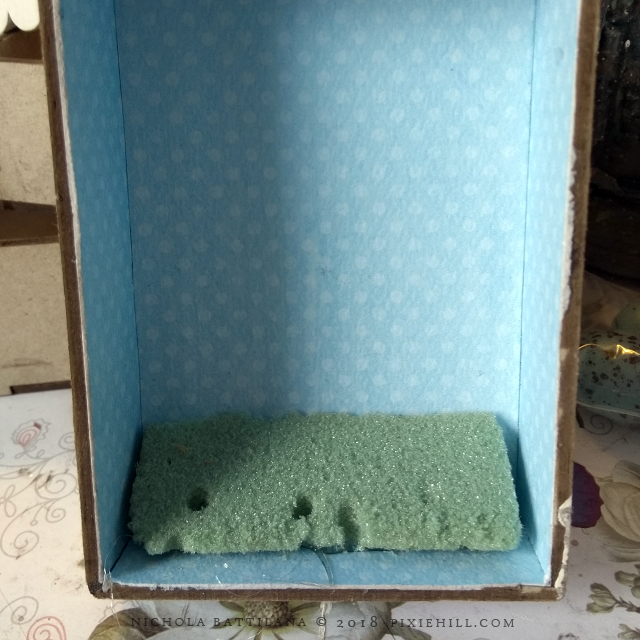 The background is just a square of cardboard (I literally cut off chunks from the shipping box!). I used pages from damaged hymnals to make them pretty. 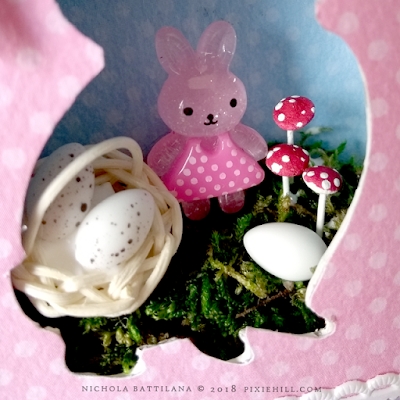 I used foam squares behind painted Easter Covers for Mini Shadowboxes to provide some depth. 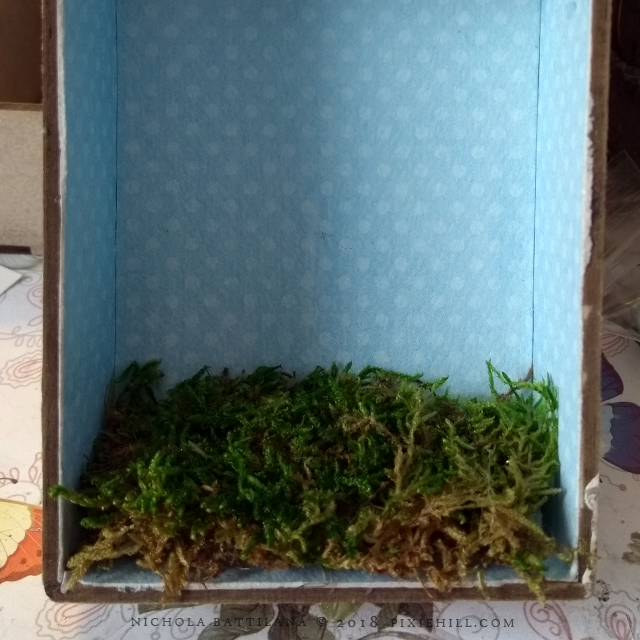 I chose to paint the covers to make this a super easy painless little project..
Sheet Moss and paper flowers and leaves are tucked into the edges. 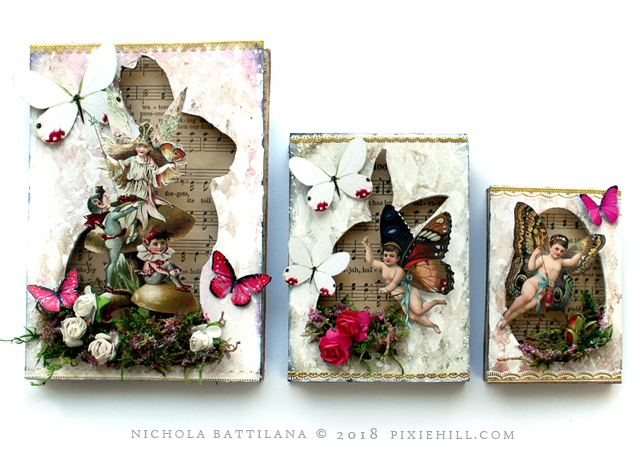 And finally fussy cut wee winged imps from the Pink Childrens Theater Collage Sheet and paper butterflies from the English Fairy Garden collage sheet are added! So cute! 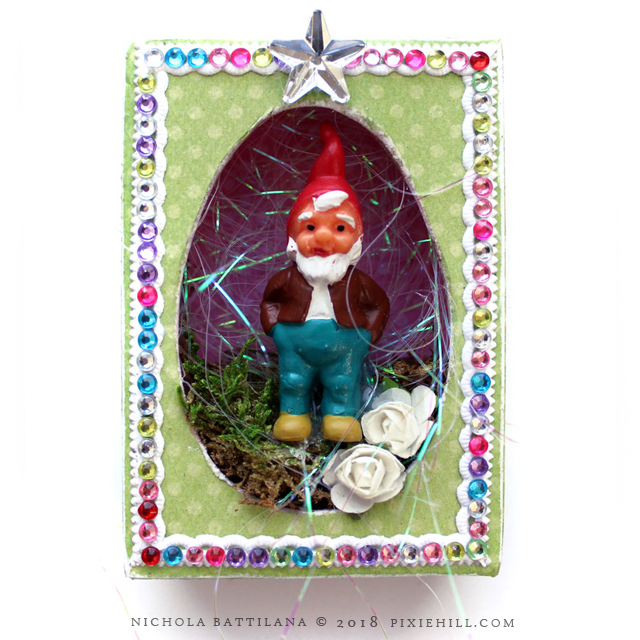 I just love this wee gnome buddy! Isn't he the cutest?! Topped with a 14mm Clear Flat-Back Acrylic Rhinestone Star. 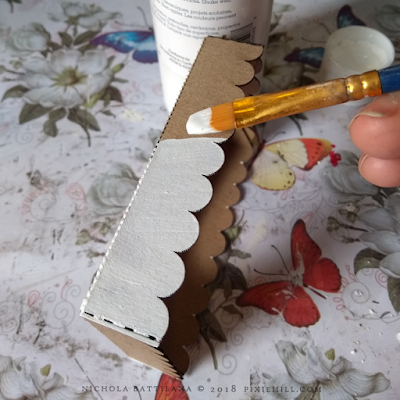 How perfect is the White Dresden Border here? 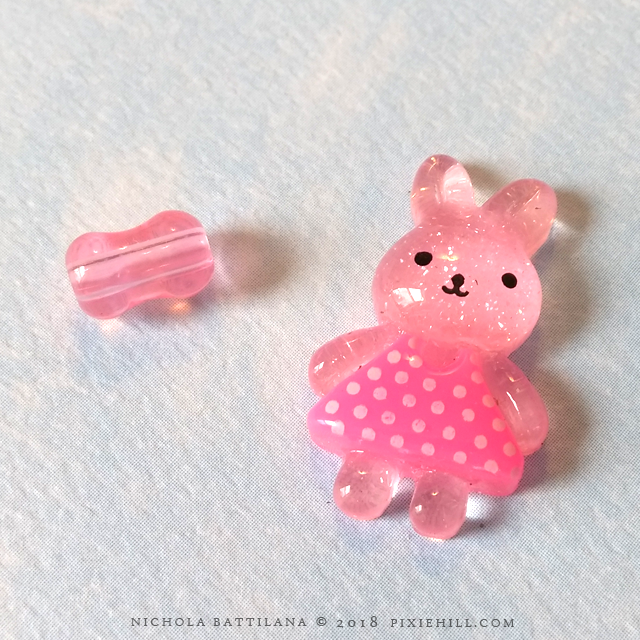 And that Pink Acrylic Bunny Cabochon! Can you even stand the cuteness? Cover the top of the box. And use dresden trims to hide the edges. 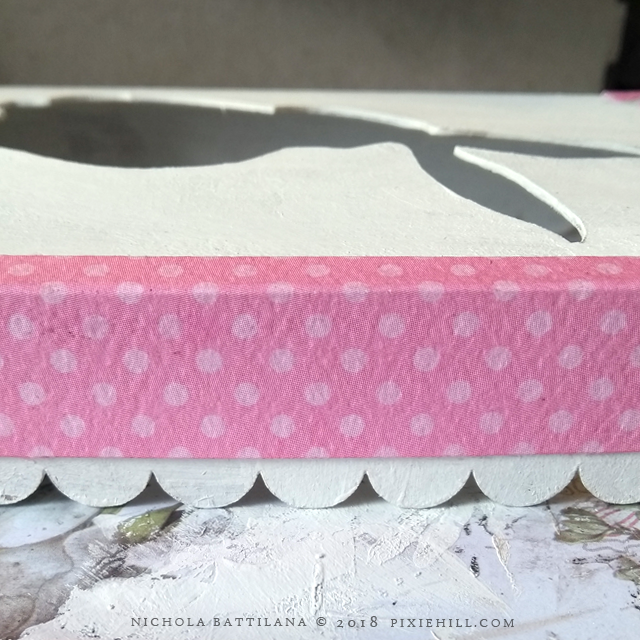 You can see above that Ive also used paint on the exterior sides of the bottom of the box. I knew that the lid would fit snugly and did not want to add extra bulk with thick paper. ... and cover with moss. 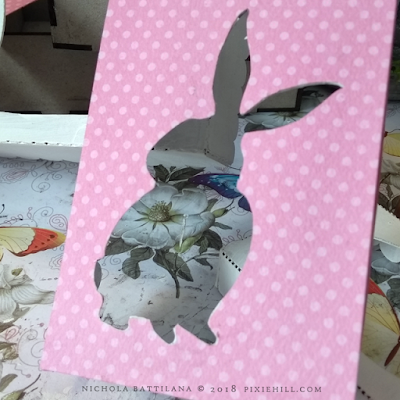 And that adorable bunbun? I added a chunky bead to the back to help keep the wee thing in place. 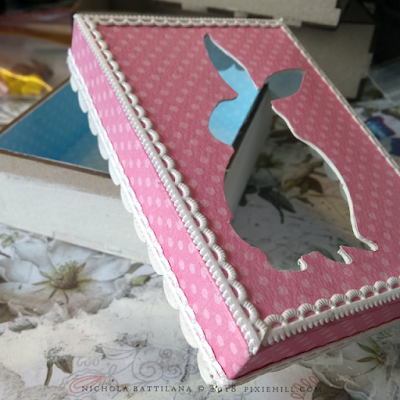 Then just glue all those other fun bits into place. So much adorableness! So pretty. I expect you have many projects going at once. you are so imaginatively !